Lightweight, energy-efficient balance of plant products including thermal- and water-management subsystems are a key priority in advanced fuel-cell engines. Dana’s state-of-the-art designs provide enhanced product performance with reduced parasitic energy losses to meet light-vehicle OEM fuel efficiency and life expectancy goals. 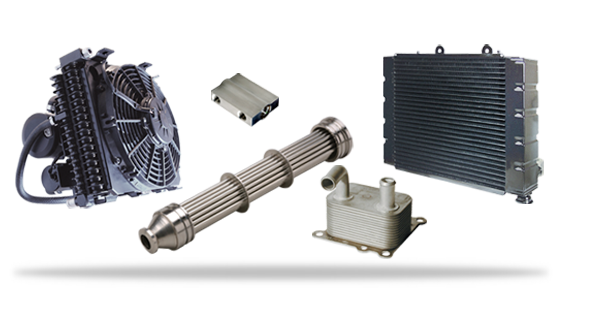 Dana offers a range of heat exchanger and thermal-management products for fuel-cell engine systems using clean, fluxless brazing manufacturing processes. Our ability to leverage existing manufacturing processes and customized design tools allows us to rapidly develop optimized, high-performance heat exchange solutions, including primary stack cooling, cathode air thermal and water management, anode coolers, electronic cooling, and thermal control valves.